I’ve seen Lipbone Redding perform a half dozen times or so. I get jaded easily, but have never gotten tired of Lipbone. While so many other singer-songwriters rely on their electronic loop stations and effects to create a sonic environment for their songs, Lipbone uses nothing but his voice, guitar, harmonica and feet to create his signature, one-man-orchestra sound. He smudges the boundaries from funk to folk, jazz to world-beat, and does it all with virtuosity, intensity and a great deal of joy. Now he’s coming to play for you in our living room, and I can’t wait. From 1998 to 2001 Lipbone honed his guitar and people skills amongst the underground caverns of New York City, In 2002 his craft allowed him to travel and make a living wherever life took him: India, Europe, South America, New Orleans, San Francisco. Along the road, he forged lifelong collaborative relationships with producers, artists and masters around the globe. In 2005 Lipbone Redding emerged into the vibrant East Village nightlife, where he became a staple of the downtown music scene. From 2005-2012 he held a residency at the tiny but famous Jules Jazz Bistro on historic Saint Mark’s Place. Friday night and Sunday brunch with The Lipbone Orchestra became a regular happening frequented by hipsters and tourists alike. It was there amongst the champagne, rowdy cabaret atmosphere and weekly packed house that Lipbone developed his signature jazzy Lip Trombone and unique style of musical storytelling. In 2006, In the East Village, Lipbone met world famous producer Ahmet Ertegun, founder of Atlantic Records (Ruth Brown, Joe Turner, The Clovers, The Drifters, The Coasters, Ray Charles, Ben E. King, Solomon Burke, Otis Redding, Sam and Dave, Percy Sledge, Aretha Franklin, Wilson Pickett, Led Zeppelin). Ahmet, on a date night with his lady, motioned Lipbone to sit at his table. He offered his hand and confided “You play trombone with no trombone, better than some trombone players that I know.” Lipbone took it as a blessing and hasn’t looked back since. In 2007 Lipbone signed with Indie label, Be-Pop Records, founded by bass player and producer Jeff Eyrich (Natalie Cole, Tanya Tucker, T-Bone Burnett, John Cale, The Blasters, The Plimsouls, Dave’s True Story, Cheech & Chong). 5 albums and a “Best Of” compilation have since been produced by Jeff and Be-Pop Records. It was also during this time that Lipbone teamed up with choreographer/dancer, Bill T. Jones (Spring Awakening, Fela!) to work on Chapel/Chapter. The live performance played to audiences worldwide and Lipbone, along with the other collaborators, won an OBIE award for Best Collaborative Performance. Since 2012, in order to maintain a travel lifestyle 200 engagements per year, Lipbone has returned to his roots and has sprouted new shoots. An uncanny vocal range, a nylon string guitar, a wooden spoon duct-taped to his foot and a lifetime of stories are all he needs to get the party started. Lipbone has taken his singular vocal instrumental style to a new level by playing guitar and producing all of the instrument sounds while simultaneously singing and storytelling without the use of electronic effects nor a loop pedal. Really, you should check him out. 100% of audience donations go directly to the artist. To guarantee seats for you and your guests, contact Andru for free reservations then donate when you arrive at the concert, or donate in advance with a credit card. Guests without reservations may make their donation–cash or check–at the concert, and will be seated according to availability. Reasonably well-behaved kiddos and babies are always welcome. Doors open at 6:30 pm. Join us for potluck-style food, snacks and drinks before the concert, if you wish. Don’t feel that you must bring something to be included; there’s always enough for everybody. Music starts at 7:30 pm. Lipbone will play till 9 pm or so. Feel free to stay and visit after the performance, and don’t be afraid to arrive late or leave early if your schedule requires it. We’re looking forward to seeing you on the 20th! Coffee & Tea Lovers!!! Dan and Dan of FoJo Beans will hand-deliver your prepaid coffees and teas to you at Lipbone’s Chenango Craftsman Houseconcert with no delivery fee. 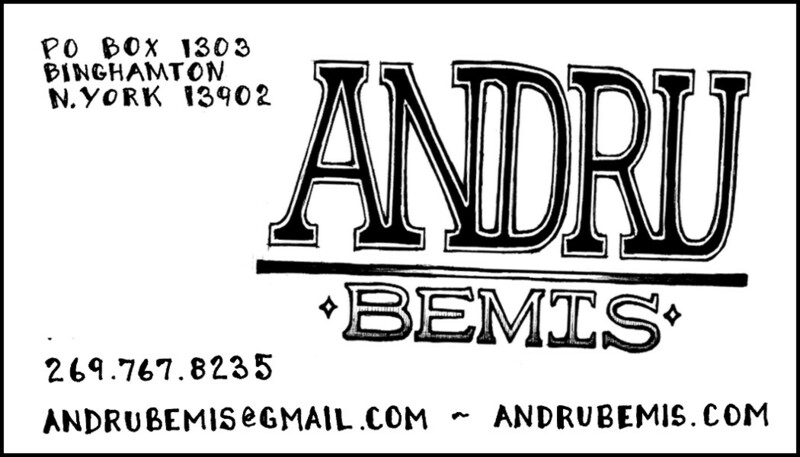 Use the coupon code “Bemis20” and DON’T USE A SHIPPING ADDRESS. Offer expires 5/18/18. Visit www.fojobeans.com to place your order.